According to the Centers for Disease Control and Prevention, arthritis affects over 50 million adults in the U.S., more than 1 in 4. It is one of the most common chronic conditions in the nation, and the number one cause of disability. If you are experiencing arthritis pain and stiffness, you might not feel much like exercising. However, without exercise, joints become even stiffer and more painful, and the disease process could progress. People with arthritis need to move their joints daily. Exercise keeps bones, muscles, and joints healthy while slowing the progression of the disease. Proper exercise promotes better joint flexibility, balance and coordination, muscle strength and endurance, and cardiovascular health. Being physically active can delay the onset of arthritis-related disability and help people with arthritis manage other chronic conditions such as diabetes and heart disease. Exercise may also improve self-image and self-esteem. Maintaining a healthy weight is also beneficial for people with arthritis, and exercise can help with that. If you have arthritis, participating in joint-friendly exercise can improve your arthritis pain, function, outlook, and quality of life. But it’s important to increase your physical activity in a safe way. Joint-friendly physical activities are low-impact, which means they put less stress on the body, reducing the risk of injury. Examples of joint-friendly activities include water exercise, walking, biking, dancing, tai chi, and yoga. A great option is to seek out an arthritis exercise class. 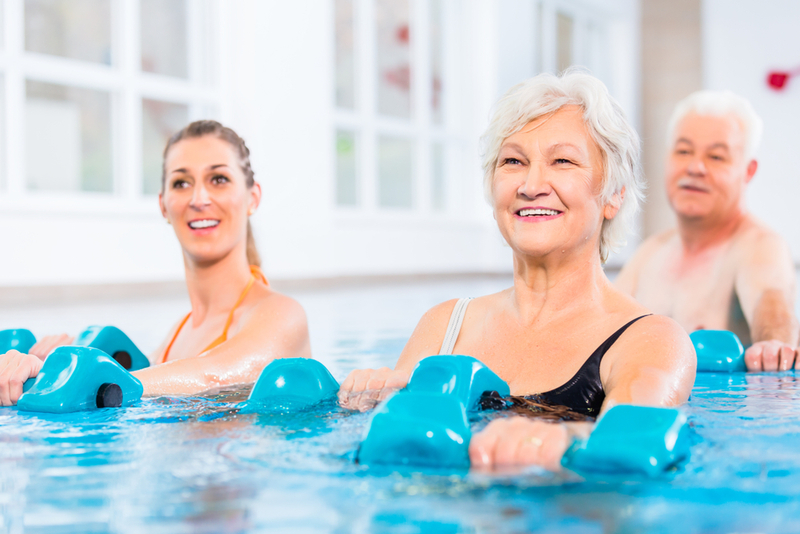 The Arthritis Foundation Exercise Program is offered in both water and land formats, and available through many senior centers. As a certified instructor, I’ve seen participants experience wonderful results from attending class regularly. Exercise helps them feel better, physically and emotionally. If you have osteoarthritis, exercise may be the single most effective non-drug treatment for reducing pain and improving movement. 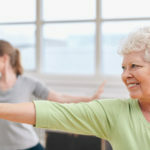 Exercises involving range of motion, also called flexibility exercises; endurance or aerobic exercises; and strengthening exercises are important for people with osteoarthritis. Each one plays a role in maintaining and improving your ability to move and function. Low-impact aerobic activities. These do not put stress on the joints and include dancing, brisk walking, cycling, swimming, using the elliptical machine, water aerobics, and group exercise classes. Working around the house and gardening are exercise, too. Muscle-strengthening exercises, which include working with resistance bands, weights, or yoga. These can be done at home, in a group class or at a gym. Flexibility exercises like stretching and yoga are also important. Many people with arthritis have joint stiffness that makes daily tasks difficult. Doing daily flexibility exercises helps maintain range of motion. 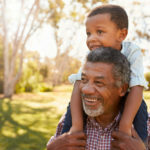 Balance exercises like tai chi or standing on one foot are important for older adults and those who have trouble walking. Balance exercises are included in many senior group exercise classes. People with arthritis need to move their joints daily. Carefully plan and prepare for your exercise session if pain and stiffness are a problem. It is best to exercise when there is the least amount of pain, stiffness, and fatigue and when medication is most effective. But also be aware that medication can mask the symptoms and the tendency to over-train may be increased, causing a greater risk of injury to the joints. When increasing physical activity, start slow and pay attention to how your body tolerates it. Stay as active as your health allows, and change your activity level depending on your arthritis symptoms. Even a small amount of physical activity is better than none. A warm shower or bath before exercise may make the activity more comfortable. Heat relaxes joints and muscles and helps relieve pain. Always begin with a warm-up and end with a cool-down to minimize stress on the joints. An inflamed joint should only be moved gently through its pain-free range of motion. Arthritis exercises should be performed in a smooth and controlled, steady rhythm, without bouncing. Try to achieve full range of motion by moving the joint until you feel a slight stretch, but avoid forcing the movement. Progress slowly. Start with few repetitions at first, gradually working up to more over time. Listen to your body. If an exercise hurts, stop or adjust the movement. If you get tired, rest. Other signs of overexertion that indicate the need to stop exercising include chest pain, shortness of breath, dizziness, and nausea. Move at your own pace. Don’t try to keep up with the program leader or other participants. Listen to your body and discontinue any exercises that increase pain. Remember the two-hour pain rule: although some muscle soreness is a normal response to exercise, joint pain that lasts for two hours or more after exercising is an indication to decrease the intensity or duration during the next exercise session. It’s normal to have some discomfort after starting a new exercise program. It may take six to eight weeks for your muscles and joints to get used to your new activity level, but sticking with exercise will result in long-term pain relief. Try a different type of exercise that puts less pressure on the joints. For example, switch from walking to water exercise. Ensure you are doing a warm-up before exercise and a cool-down after. Exercise at a comfortable pace and don’t overexert. Pain that lasts more than two hours after exercise or gets worse at night. Large increases in swelling or your joints feel hot or are red. If you have rheumatoid arthritis and are experiencing a flare-up of symptoms, talk with your physician to determine if exercise is appropriate for you. Before beginning a new exercise program, be sure to inform your doctor and follow his or her recommendations. Physical therapists and certified personal trainers can answer your questions about how much and what types of activity match your abilities and health goals. They can also create a customized exercise program for you, and provide you with continuous professional guidance and support. Information and statistics sourced from the Centers for Disease Control and Prevention, The Arthritis Foundation, American Council on Exercise, The National Council of Certified Personal Trainers, and the National Academy of Sports Medicine.